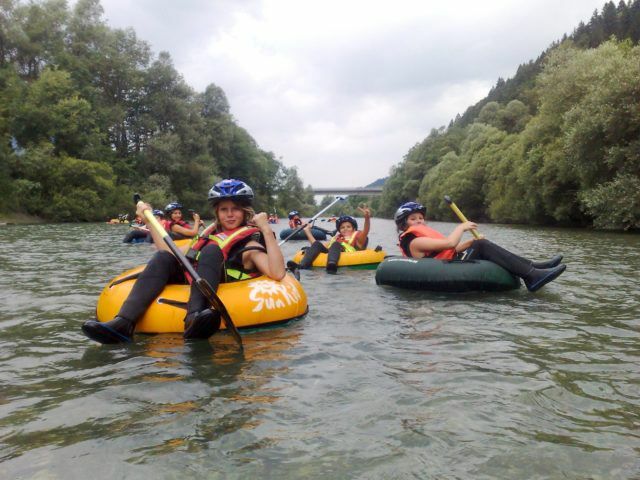 River tubing on the River Gail is a summer activity that will give you a lot of fun. Your team will definitely not forget this special experience in a hurry, as it is one that will definitely not keep them dry! You sit in a large tyre with a paddle and cross a number of waterfalls and rapids, accompanied by two professional tour guides who take care of your safety. This programme ensures a lot of adrenaline, but it does not require high levels of physical strength and is suitable for anyone. The River Gail will seduce you with its tranquil blue and green shades, and it offers a great cooling-off option during the hotter summer months.